Imagine waking up one morning and thinking, "I think I'll go for a bike ride today...through Times Square. On a beach cruiser. 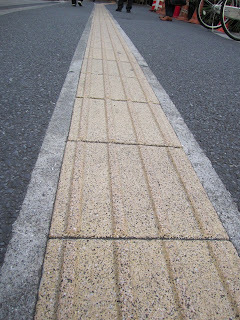 On the sidewalk". 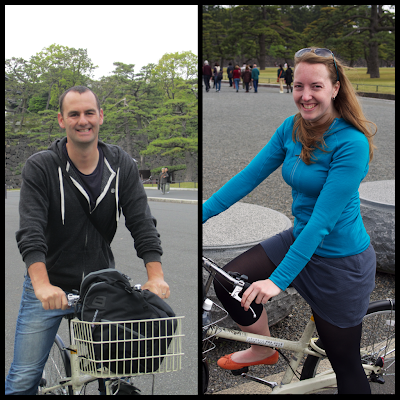 Yep, we rented bikes and rode through downtown Tokyo today, and managed to neither die nor kill anyone in the process. Bully for us! Tokyo is very much set up for biking all over. Since so many people here do not have cars and use only trains and bicycles to get around, pedestrians and drivers expect to see bikers everywhere. And since the custom is for bikes to be on the sidewalks with pedestrians, its less intimidating for outsiders to bike. And at the equivalent of $5 per day to rent a bike, it's incredibly affordable! However, all those niceties do not make the whole thing any less terrifying! Because although bikes are supposed to ride on the sidewalks, and there are bike lanes on some of the sidewalks, and bike lanes at every street crossing, pedestrians could not care one bit, and meander along in the bike lanes, texting, teetering side to side, and looking generally oblivious. So the bikes just weave around them at break-neck speeds. On a completely unrelated note, the Japanese are impressive with their attempt to make daily life completely integrated for those with vision problems (though not mobility problems - Tokyo is incredibly inaccessible). 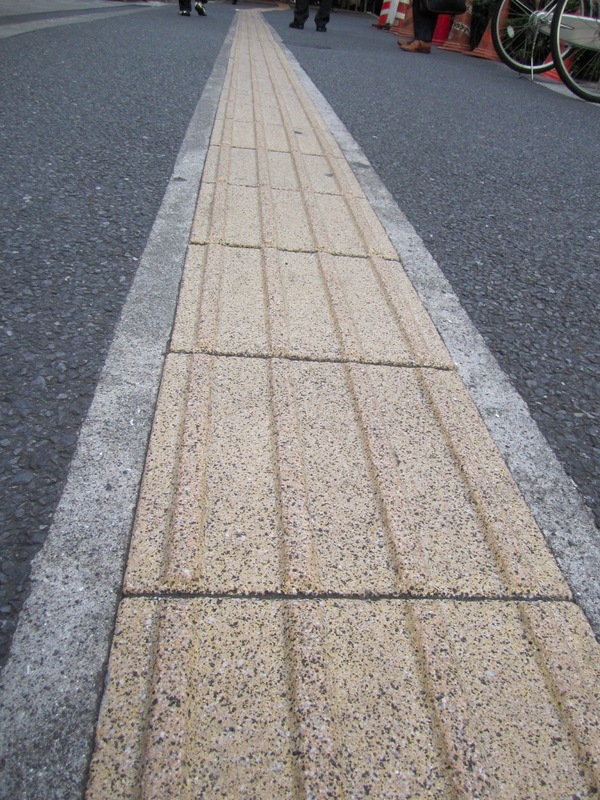 On all sidewalks, in buildings and in the subway, there are yellow grooves in the floor which blind people can use to ensure they are in a walkway appropriately. Which is awesome! It becomes less awesome when you're biking all over the city and trying to avoid the grooves in the ground, the people on the sidewalk, the cars in the road, and the local zooming toward you on his bike, waiting for you to flinch first.